It’s not for nothing that they call shopping a therapy- retail therapy. Shopping is indeed therapeutic. And what can be better than shopping without burning a hole in your pocket! No matter how much you love online shopping, nothing can compare to the traditional, old school shopping method when you actually visit the market and thoroughly examine the items on your wish list before you buy them. Delhi is undoubtedly the hub of shopping that offers a multitude of shopping markets of all kinds. 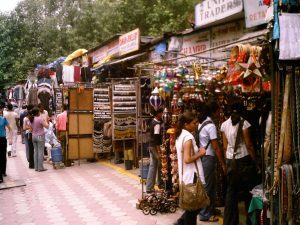 Ranging from apparels to electronics to kitchen appliances to book markets, Delhi offers it all. You name it and you’ll find it in Delhi. If you want to buy quality stuff but are low on budget, checking out these markets is surely going to be a breather for you. This colony was set up to house a few Tibetan Refugees and is also known as Little Tibet. 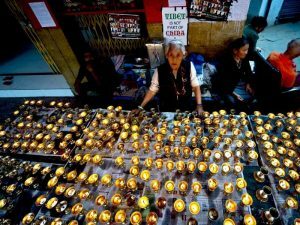 Over the years, the market has grown in size and is popularly known as the Monastery Market. A small gate under the ISBT Shahdra Link flyover on the ring road leads to a surprisingly large market. Shops selling clothes, accessories, paintings, shawls, Tibetan artifacts including jewelry are popular among the young crowd of Delhi. This market also is a good place to try authentic Tibetan food, including thukpa, momos and mouth watering chowmein. The market remains closed on Mondays. This is the place for you if you are a broke bibliophile. This is a market that is only open on Sundays and is thronged by a multitude of crowd. It is located in old Delhi, which is obviously extremely crowded. To get the best out of this market, you should reach as early as 9:30am. 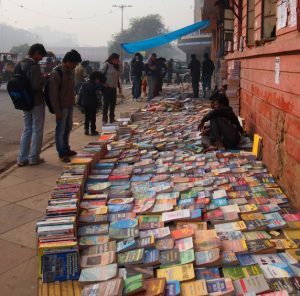 More than one kilometer long, the market has a variety of books, magazines and journals. Books are even sold by kilograms here! The market is only open on Sundays. 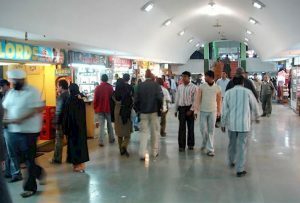 Situated in the middle of the Connaught Place near Regal Cinema Hall, Paalika Bazaar is an underground air conditioned shopping hub. The 390 shops here sell stuff ranging from fashion items and accessories to electronic goods. It is preferable that you go to this market in a group, because then, bargaining is more effective. The difference in the price of a product before and after bargaining is huge. Palika bazaar is the preferred place to buy microphones, movie and song CDs and music systems. The market remains closed on Sundays. 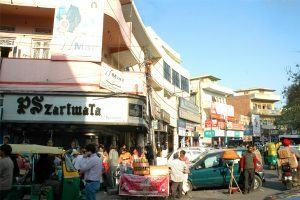 One of the most well known and earliest shopping locations, Karol Bagh is located in Main Delhi. It houses famous showrooms and is mainly known for textile and apparel shopping. Reasonable deals are available if you opt for street shopping in Karol Bagh. Tank Road is known for wholesale garments and denims and also for ethnic Indian wear. 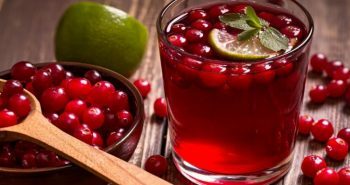 An added advantage of shopping in Karol Bagh area is that it has a variety of food kiosks, cafes and restaurants which will leave your mouth watering. Don’t forget to try Roshan Di Kulfi. Chandni Chowk is one of the oldest markets of Delhi. 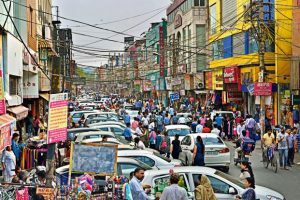 One of the most crowded markets, Chandni Chowk area is subdivided into areas that specialize in selling a certain type of products. For instance, for books you should head to Nai Sarak, opticians and shoes are sold in Ballimaran, dry fruits and spices in Khari Baoli and pearls in Moti bazaar. 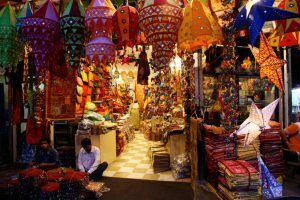 Chandni Chowk is one of the favorite shopping destination for wedding shopping, be it apparels, footwear, accessories or even wedding cards. It is also known as the bridal shopping hub. The Paharganj market is located just opposite New Delhi Railway Station. It is crowded, chaotic, noisy and full of buildings that could almost crumble. However, it is also one of the hubs for best bargain shopping in Delhi. Amongst the crowd of vehicles, people and animals, you will shops brimming with whatever that is you’re looking for- books, music, jewelry, shoes, textiles, clothes, handicrafts- you name it and they have it. The market stocks every type of color and product imaginable, at inexpensive rates. Exploring the lanes and by-lanes of the main market, you’ll find they are as interesting and full of variety. The market remains closed on Mondays, except during season. Located in South Delhi, this market was named in the honour of Lala Lajpat Rai and is known for its Central Market. Lajpat nagar is famous as the convenience shopping destination. This shopping market is one stop shop for all your shopping requirements- clothes, bags, accessories, footwear etc. to get the best of this market, bargaining is a prerequisite. It is a perfect example of a typical Indian market which also accommodates food kiosks and mehendiwalas, who apply elaborate mehendi designs on outstretched palms. Located in North Delhi, it is one of the city’s major shopping centers. 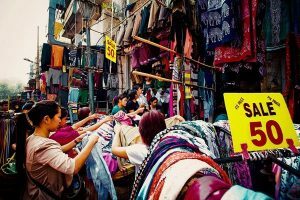 All kinds of apparels- from ethnic to western to casual to formal is available in Kamla Nagar and it is also known as one of the popular street shopping areas. To find the best deals, brush up your bargaining skills. This market usually remains crowded, one reasons being that it is located next to North campus, Delhi University and it is an all-time favourite of the students, precisely because of the variety that it offers coupled with reasonable prices. Along with a satisfying shopping experience, Kamla Nagar also offers local eateries and restaurants that are a perfect treat after a hectic shopping day. Located just next to CP, the central location of this market is just one of its advantages. This market remains a personal favourite due to more than one reason. This is one market that is flocked by locals and tourists alike. Janpath remains a personal favorite market to shop for ethnic and funky junk jewelry. It sells products that are often difficult to locate in malls or street shops. 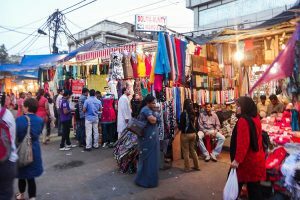 One of the oldest markets in Delhi, it is known for the Pashmina shawls of Kashmir. 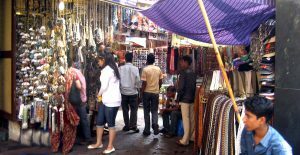 Janpath market sells original quality products ranging from Kurtis, scarves, churidaars, ornaments and artifacts and ethnic bags. Located in South West Delhi, Sarojini Nagar is every girl’s shopping paradise. From footwear to apparel to bags to jewelry the market has it all. 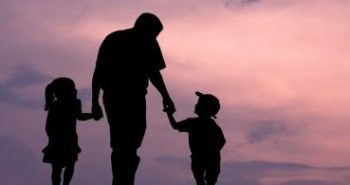 You’re going to be a notch higher than others if you have got excellent bargaining skills. It offers the trendiest clothes at reasonable prices- in fact the only place where you could get Mango and Zara apparel at less than 25 per cent of its original price. The market is in sync with the latest fashion trends and updates its collection from time to time.